Hey y'all! 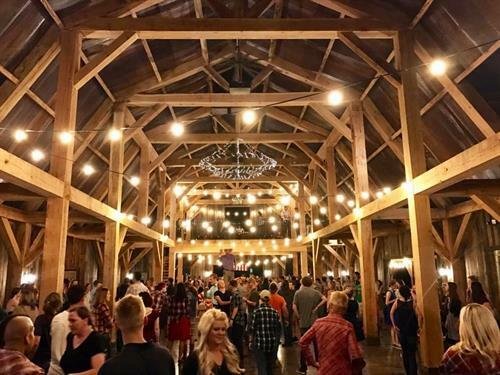 We've got a barn dance coming up on THURSDAY, April 19th from 7 - 10:30 p.m.! Adam & Katlyn will be there with a little dance instruction. Enjoy Texas two-step, swing dancin', line dancin', and more. Voted 3rd place in the Best of 417 Reader's Choice Awards for Best Place to Meet Somebody New, this is a family-friendly, wholesome, multigenerational event. Non-alcoholic refreshments and concessions will be available for purchase in the barn. See you at the ranch!